As a valued partner, we thank you for using Sechrist Industries for your hyperbaric chamber preventative maintenance and repair service. 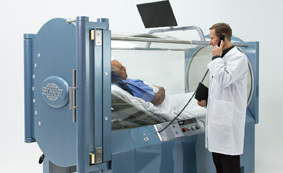 Like you, we believe that a competent, trained service staff, supported by a deep organization of engineering and medical device industry professionals, is the best choice for hyperbaric chamber operators and their patients. 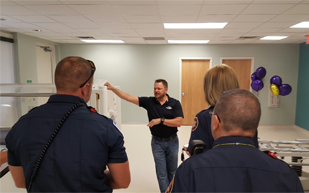 so constant training is necessary to ensure the quality and safety of your chamber. All replacement parts are manufactured or procured by Sechrist, and are inspected according to our strict quality control requirements. 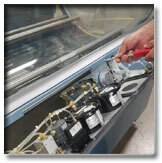 We also warranty all of our parts against defects in materials and workmanship. Our service program, an integral part of our Quality Assurance Program, is certified to meet FDA Quality System Regulations. As such, we must maintain extremely high servicing standards and we are routinely audited against those requirements. Sechrist maintains a robust database of our worldwide installed base of thousands of units. This enables us to perform statistical analysis and monitor trends in equipment and component performance. We warranty our equipment and workmanship to ensure that you get the full value you are seeking for every service transaction. Our customer partnerships are the cornerstone of our business and we do not take them lightly. 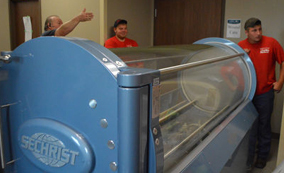 Our goal is to work with you closely to meet and exceed your hyperbaric chamber servicing expectations. 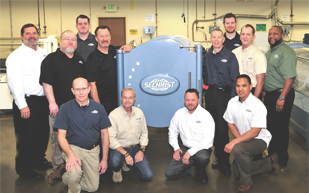 Sechrist recognizes that comprehensive and efficient support and maintenance is critical to our customers. That is why we offer plans to cover your Sechrist products to keep them running smoothly, efficiently and safely. Sechrist offers a comprehensive 12-month extended warranty agreement that provides fast and responsive service. • All recommended annual preventative maintenance is included and conducted to address any issues and keep your product running in optimal condition. • All replacement parts are covered at no additional charge, when required. • Unlimited service visits during the contract period, provided the issue cannot be resolved over the phone. • 24×7 telephone and email support with a trained and specialized technician. • Added benefit of all industry required PVH02 inspections. With proper PVH02 inspections, you can extend the design life to 20 years or 20,000 cycles. • All PVH02 inspections can be completed at the time of your regularly scheduled annual Preventative Maintenance, thereby minimizing service disruptions for inspections from a third party. 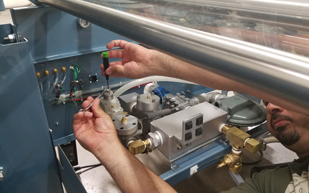 Our years of experience in oxygen therapy equipment servicing allow us to provide the highest quality products and exceptional service for our customers. Sechrist recognizes that comprehensive and efficient support is a critical customer requirement, and we have the infrastructure in place to handle all of your technical and customer service needs quickly, efficiently and professionally. Recommended annual preventative maintenance service conducted, at your convenience, during the normal business week. All regularly replaced parts, including filter elements and battery; other parts can be provided at an additional charge. Sechrist offers a range of choices and price points to meet your chamber repair needs, including:. •Rush repair – Based on the urgency of the situation, a Sechrist technician will be deployed to the site as quickly as possible. •Expedited repair – For urgent situations, a Sechrist technician will be onsite within 48 work hours. 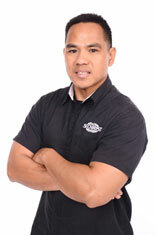 Sechrist service technicians are always available to assist customers by phone or email, 24/7. A 12-month extended warranty agreement. Fast and responsive service during the period of the contract. Recommended annual preventative maintenance, conducted at your convenience, during the normal business week. All replacement parts pertaining directly to the chamber at no additional charge. Free service visits during the contract period if the problem cannot be resolved over the telephone. PVHO-2-2012 is a standard that provides technical requirements and guidelines for the operation and maintenance of Pressure Vessels for Human Occupancy (PVHO) systems that were designed, constructed, tested, and certified in accordance with ASME PVHO-1-2012, Safety Standard for Pressure Vessels for Human Occupancy (PVHO). This standard also provides technical criteria for the user to establish the serviceability of a PVHO acrylic widow under its specific environmental requirements. PVHO-2-2012 also provides information regarding the Design Life and Service Life of your acrylic cylinder and guidelines on inspections which can be done to extend the Service Life. The standard lists two levels of inspections; Operational Viewport Inspection (OVI) and Maintenance Viewport Inspection (MVI). 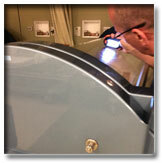 OVI requires viewports to be visually inspected prior to the first pressurization if pressurized more than once per day. Ten (10) Year Life Extension Viewport Inspection – includes complete mapping and documentation of cylinder as well as inspection of seat and seal; includes repair and refinishing of scratches. Sechrist Industries guarantees the high quality and dependability of all service and parts with its thorough and intensive quality control approval process. 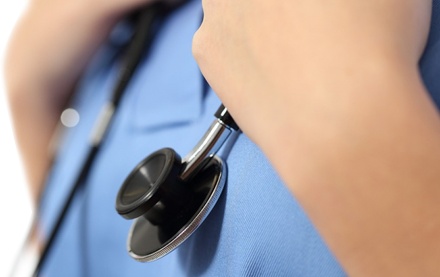 Through this stringent process, we guarantee that only genuine, approved Sechrist parts are used in every Sechrist world-proven medical device. All of Sechrist’s factory overhauled units carry a limited six-month warranty and are guaranteed to extend the life of the product, thus lowering a hospital’s total cost of ownership. 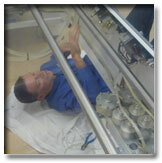 The Sechrist Indsutries, Inc. technician team is highly trained in the use and service of hyperbaric oxygen chambers. 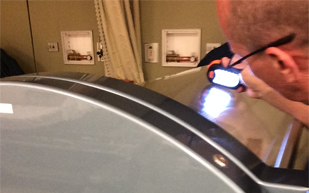 Our technicians consistently train and update themselves on all procedures and processes related to hyperbaric oxygen chamber services and support. Each and every technician is annually tested and trained to the highest level so we may provide the highest level of service in the industry. Don Adams – Tampa, FL. 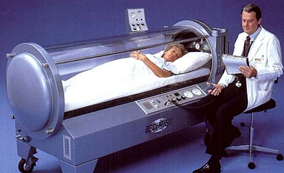 •I have worked in Hyperbarics for over 38 years. •Began my Naval career as a Deep Sea Diving Independent Corpsman. •I have lived in Tampa for 11 years. •I like to fish and work out at the gym on my time off. •The best part of traveling is meeting different people all the time and seeing different parts of the country. •I am a history buff so traveling to Gettysburg ,Vicksburg , Savannah, Charleston and several other historic sites is interesting especially since I got to dive on the USS Monitor in my Naval career. •I believe my world travels have enhanced my horizons and opened my mind to make me more open minded and culturally aware of other people’s perspectives and world views. •I have worked in HBO for 16 years, both in commercial diving and wound care. •Commercial Diving led me directly to wound care hyperbarics. •I have lived in Kansas, California, Louisiana, Japan, and Florida. 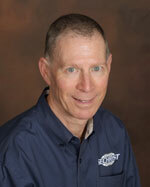 •I have worked in Field Service on Medical equipment for thirty years. 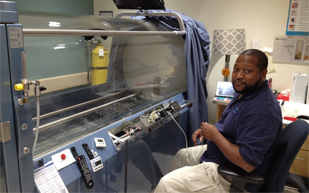 Eight years have been with hyperbaric equipment. •I was born and grew up in Bloomington, IN. •I have one son in Las Vegas, NV and one daughter in Anaheim Hills, CA. •I have been in Southern California for 17 years. •I enjoy the travel and working on-site with our customers. •In my spare time I cycle, hike and enjoy the beach. •I have worked in the field of hyperbaric medicine for 18 years, including 15 years as a CHT and 7 years as a Safety Director. •I began my career with ATMO, where I worked part-time while attending college at the University of Texas, San Antonio. •I grew up in San Antonio, but now live in Oklahoma City with my wife and two stepsons. •I have been in hyperbaric medicine since 1996. •I started out as a Program Director for two different management companies and a hospital run program. •I was a Safety & Technical Director for Integrated Wound Care Services/Wound Care Group. •When I travel, I can’t wait to get on the road to my accounts come Monday. I can’t wait to go home Friday! •I began my career as a Commercial Diver in the Gulf of Mexico in 1987. During that time I worked with many decompression and saturation chambers as a technician and a diver. 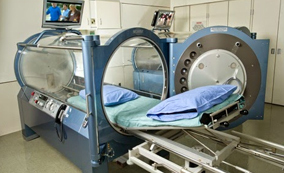 •In 1992, my career in Hyperbaric Oxygen Therapy started as a chamber operator with a 24 person multi-place chamber. 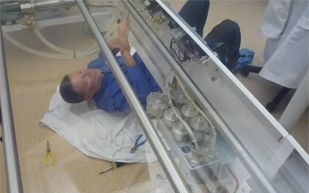 During that time, I was involved with daily oxygen treatments and multiple research projects. •Advancing my career, I worked as a Safety Director and Program Director setting up and growing multiple wound healing centers that integrated hyperbaric chambers. •I enjoy working with my hands building and repurposing furniture. I have designed and built several houses from large family homes to tiny houses. •My most resent project was a Tiny House on Wheels which can be seen on HGTV. •In my free time, I enjoy being outside camping, hiking, and mountain biking with my family. •I have traveled to many countries and lived in many different locations. I appreciate the diverse geography and discovering new places during my travels. •What brought me to Sechrist Industries was that I was in the process of transitioning back into civilian world and back to running MED ONE Hawaii, but I had a call from Sechrist, and here I am! •Whenever I’m home, I dedicate my time with my wife and kids and of course, honey-do list. •The best part of travelling throughout the US is hearing stories from people on how they came to the US or how they moved from state to state. Hearing history and point of interest in current locations. •I have two children; Gabriel, 18, who will be sophomore in college and Isabella, 7, who will be 2nd grade this coming school year. •The most unique place I have ever traveled for Sechrist Industries is American Samoa. •In my free time, I ride motorcycles and compete in basketball tournaments. 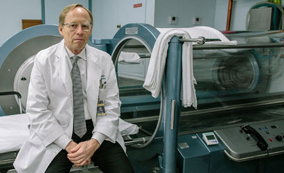 •I’ve worked in Hyperbarics since 1992. •I was in the Air Force as an Aerospace Physiology Specialist, which led me to a career in Hyperbarics. •I am originally from South Bend, IN and now live in Merrillville, IN where I’ve been there for 11 years. •During my time off, I enjoy spending time with family, friends and enjoying live music. •Not sure if there is a best part of traveling, but I’ve had the opportunity to meet some really good people and establish lasting friendships. •My diving obsession started when I was 12 years old as I have been an active Scuba Instructor for over 18 years. •I have worked in the field of Wound Care and Hyperbarics for ten years. •Currently, I am a CHT, DMT and NREMT 2008. •I have made Southern California my home for 36 years. •I have an obsession for food from different cultures. •I love to travel and dive every chance that I can get. •In my free time, I love being outdoors and seeing what the world has to offer from, both a historical perspective, and that of different cultures. 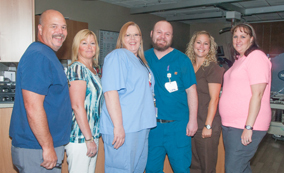 •I have worked in Hyperbarics since 1990. If you count previous ten years working on and operating commercial deep diving systems offshore, then since 1980. •I have also been an avid scuba diver since 1965 (my Father started me young!) After leaving offshore, I wanted to continue in everything Hyperbaric and went into manufacturing. •In my free time, I enjoy hiking, mountain biking and kayaking on the lake. •The best part of traveling around the country is seeing the country side on the way to the job. •I have one daughter Laura who is a Veterinarian. •I recently had my first grandchild, Christopher. •The most interesting place I have traveled is Bali Indonesia. •I have worked in Hyperbarics as a CHT and a Safety Director for four years. •I have a combined 22 years in Emergency Services as a Fire Service Instructor, Firefighter, Paramedic, Rescue Diver/swimmer. 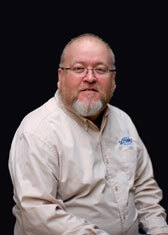 •Although I have spent most of my adult life in the South Eastern Connecticut area, I currently live in Richmond, VA.
•My hobbies include boating, SCUBA diving, swimming, fishing, camping and pretty much anything outdoors. •I enjoy spending my quality time with family and friends. •I enjoy Sci-Fi Movies, such as; The Justice League, The Avengers, and yes, Valerian & The City of a Thousand Planets.